The Big “M” Casino Myrtle Beach, South Carolina, Offers Double the Fun with Double the Ships This Summer! 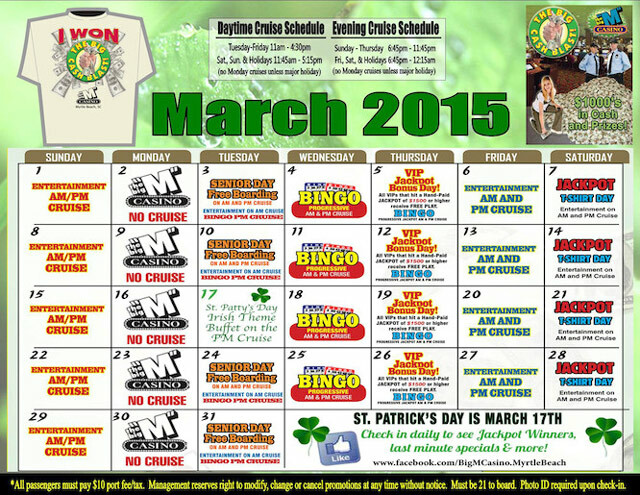 Ready for a cruise with us on The Big “M” Casino in Myrtle Beach? Did you know we will be joined by our sister ship for the Summer Season? 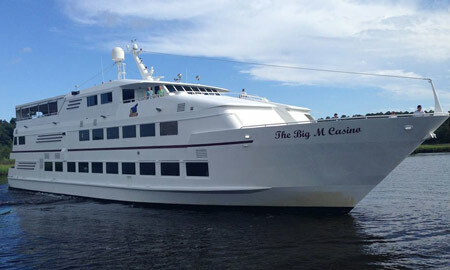 The Big “M” Casino I Ship has arrived from Fort Myers Beach, Florida! She’ll join our regular ship this summer for double the fun starting July 2 at 10:00am. Then you’ll really appreciate this non-smoking Casino, (smoking only permitted on the outside decks). A la Carte Buffet available for purchase onboard, as well as a cash bar. The cost to cruise The Big “M” Casino is $20/person ($10 boarding fee & $10 port tax/fee). This ship offers all the games: Blackjack, Craps, Roulette, Let-It-Ride, 3 Card Poker & Texas Hold’Em! Slot Tokens are even back, with Lots of SLOTS featuring many new games! 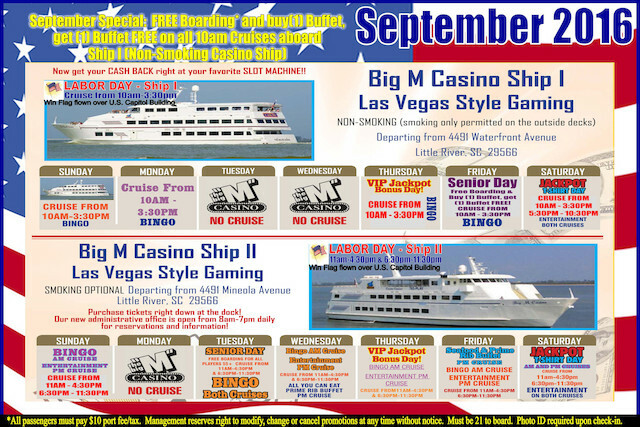 VIP & Players Cards from The Big “M” Casino II will be honored on both ships. 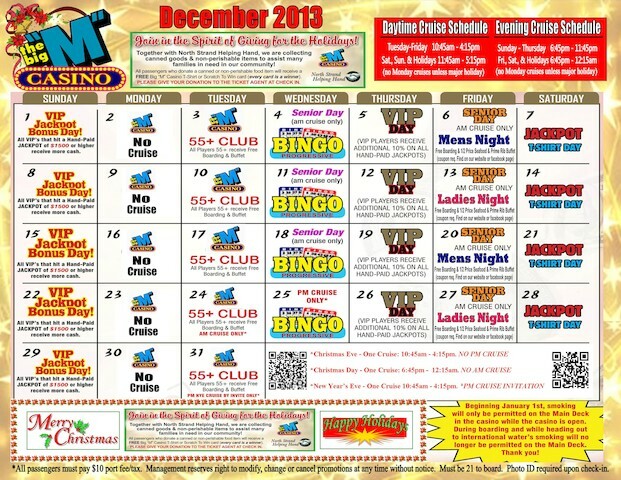 The Myrtle Beach Big “M” Casino Offers Christmas Fun and More! 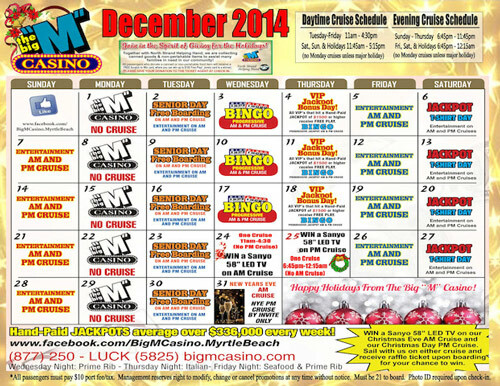 Have you checked the Myrtle Beach Big “M” Casino December calendar? You should. You certainly don’t want to miss out on any of the holiday fun! Make your reservations now to board the Myrtle Beach Big “M” Casino cruise during the holidays. 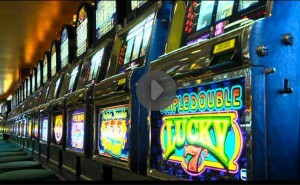 Did you know our hand-paid jackpots average over $336,000 every week! Our jackpot winners love it! Ready for Some Holiday Fun on the Myrtle Beach Big “M” Casino Cruise? Looking for a great way to spend your holidays? Trying to figure out a way to entertain your guests? 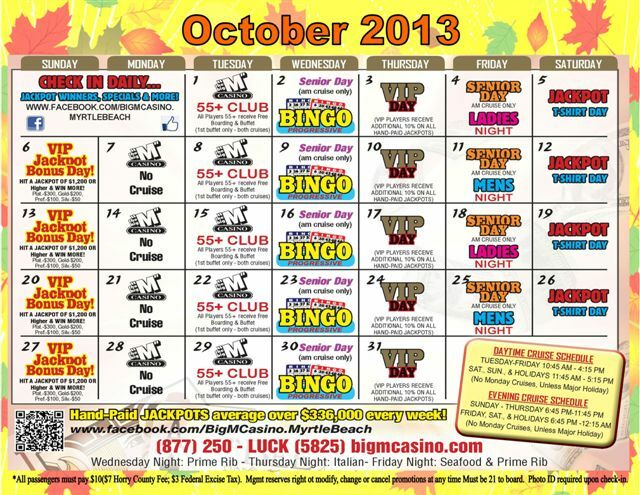 The Big “M” Casino Myrtle Beach Offers October Fun! Are you missing the thrill of a cruise? 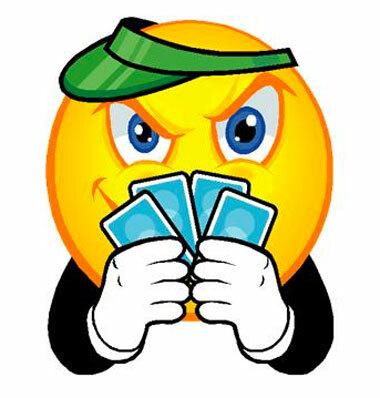 Interested in Vegas style gaming? Do you love great food? It can be hard to find all this in just one place. Look no further. Join us on The Big “M” Casino Myrtle Beach and experience all of it: the water, our table games and slot machines, and our superb buffet! 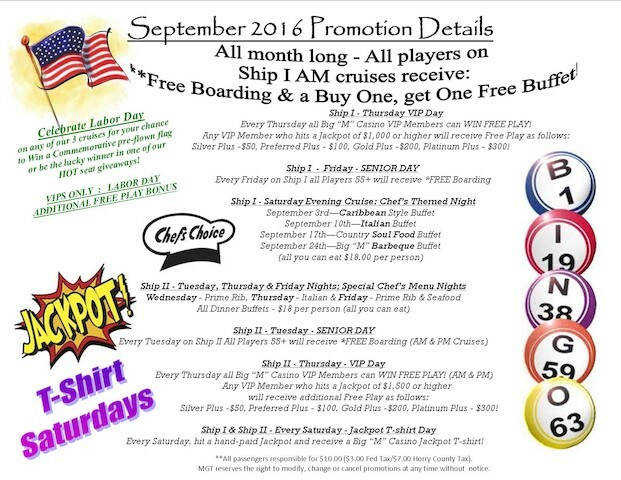 Awesome specials, day and evening cruises – your choice! We’re South Carolina’s best casino with the highest hand-paid jackpots! 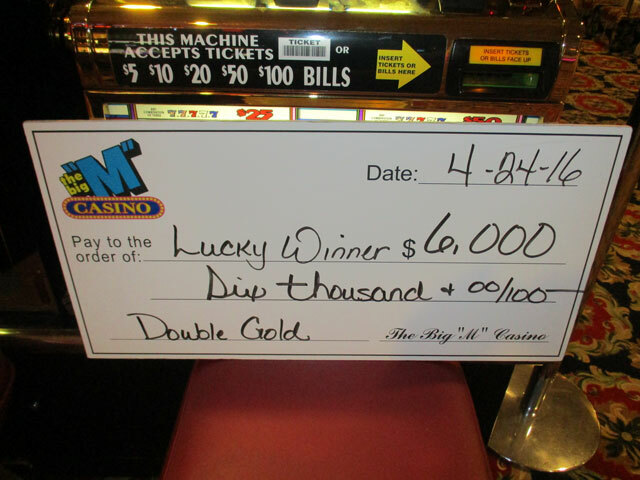 The Big “M” Casino Myrtle Beach pays out more jackpots than any other casino in South Carolina. How would like to be a jackpot winner and get in on the winning?